The highly successful Little Book of Vouchers is in it’s fourth edition. It’s advertising vouchers are used by both tourist and locals with 30,000 booklets produced for distribution all over the Sunshine Coast. The vouchers have a 12 month expiry life. It is an extremely cost effective advertising media with prices from $295 Iinc GST). 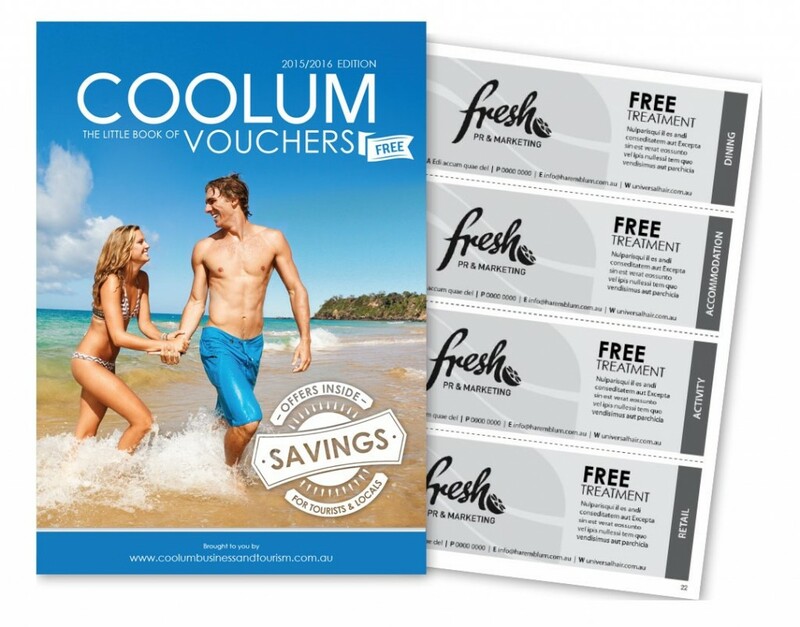 Coolum Business and Tourism are the owners of the publication, and contract the production of the booklet tot Fresh PR & Marketing. Each year the publication has grown with many advertisers rebooking each year. Infact, it’s been so succesful that the Buderim Chamber of Commerce has replicated their own publication.